What are the best parties for tomorrows “Fête de la musique” in Berlin? Well first, here is the official program, ordered by neighbourhoods. Mostly openair and all for free, this worldwide music festival which started in Paris is Berlin’s halfofficial kick-off party for the summer. The other one is the supposedly last openair party (Line-up: Koletzki, Woody, Diringer, Luna City Express) by famous club Sternradio which is going to close soon. 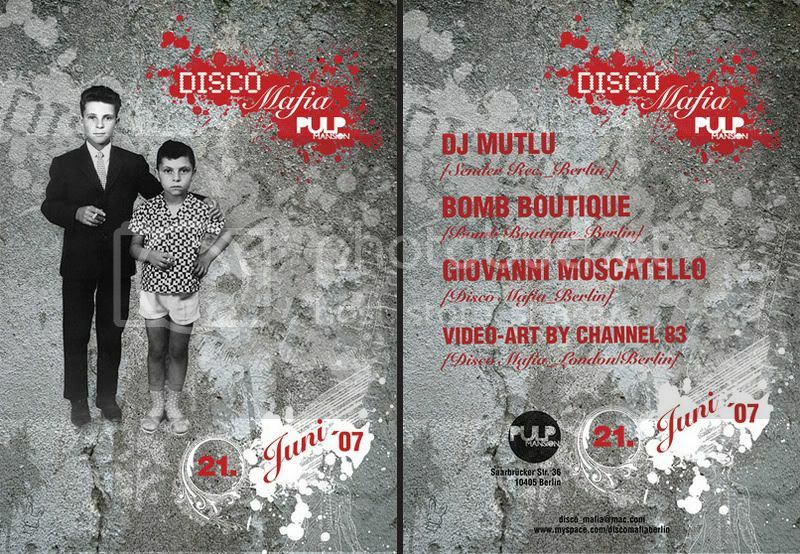 And last but not least there is the Disco Mafia at Pulp Mansion at Saarbrückerstr. 36. Check out the flyer!